If you're in Atlanta, Chicago, or Washington DC, you might as well just dip yourself in bug spray. The cities took the top three spots, respectively, on a list released by pest control company Orkin on Monday, which ranks American cities where it saw the most mosquito customers in 2014. Atlanta is apparently swarming with the little flying bloodsuckers, topping the rankings for a second year in a row, according to Orkin. The Southeast in general was found to have the most mosquito problems, with nine of the 20 cities on the list from the region. 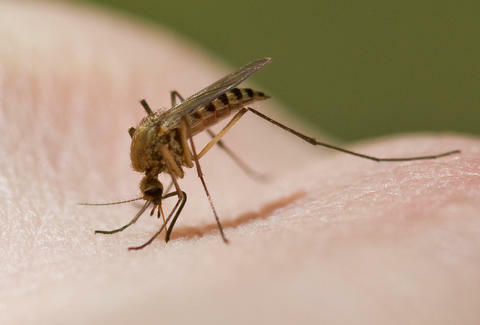 Orkin's ranking comes just in time for the "prime" mosquito months for most of the country, June through August, and the company warned of health concerns associated with mosquitoes, including the transmission of West Nile virus. In January, Orkin released a separate list detailing the 10 most bed-bug infested cities, too. So, um, where can we find some nice bug-repellent protective body suits? 6. Raleigh - Durham, N.C.
12. Grand Rapids - Kalamazoo - Battle Creek, Mich.
14. Richmond - Petersburg, Va.
18. Greenville - Spartanburg, S.C., Asheville, N.C.
19. Albany - Schenectady - Troy, N.Y.
Tony Merevick is Cities News Editor at Thrillist and, luckily, doesn't see many mosquitoes in NYC. Send news tips to news@thrillist.com and follow him on Twitter @tonymerevick.